Two days after a Russian court sentenced a Jehovah’s Witness to six years in jail, human rights activists have warned the case will trigger a crackdown on other religious minorities. 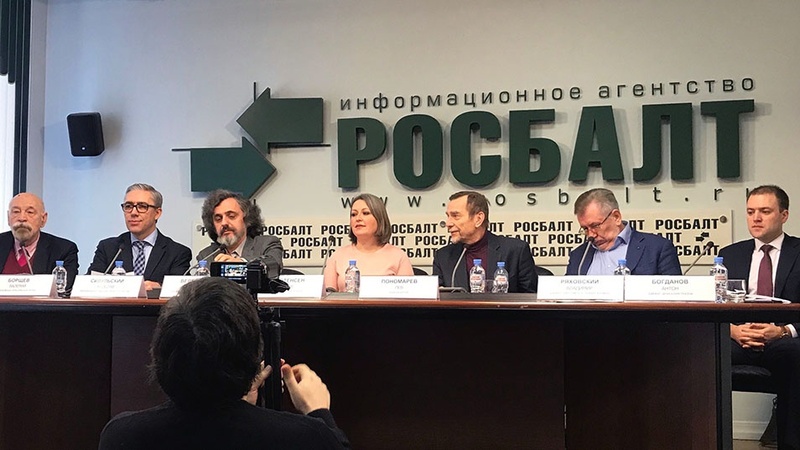 “This is a precedent that will give [the authorities] a push for the other cases being heard and for them to go after other religious groups,” Valery Borshchev of the Moscow Helsinki Group said Friday at a press conference in Moscow in support of Christensen. “We will see a wave that will target not only Jehovah’s Witnesses after this,” he added. President Vladimir Putin last December called the labeling of religious groups as extremist “complete nonsense.” Meanwhile, the persecution of the Jehovah’s Witnesses group has continued. At the press conference on Friday, Alexander Verkhovsky, the head of the Moscow-based SOVA Center which tracks extremism, noted that six additional Jehovah’s Witnesses had been charged with extremism since Putin made the comments. “[Christensen] was convicted for his faith,” Yaroslav Sivulsky, a representative of the European Association of Jehovah’s Witnesses, said. Sivulsky added that there are 24 Witnesses currently in jail awaiting trial in Russia. Another 5,000 people have fled the country for fear of persecution, he said.